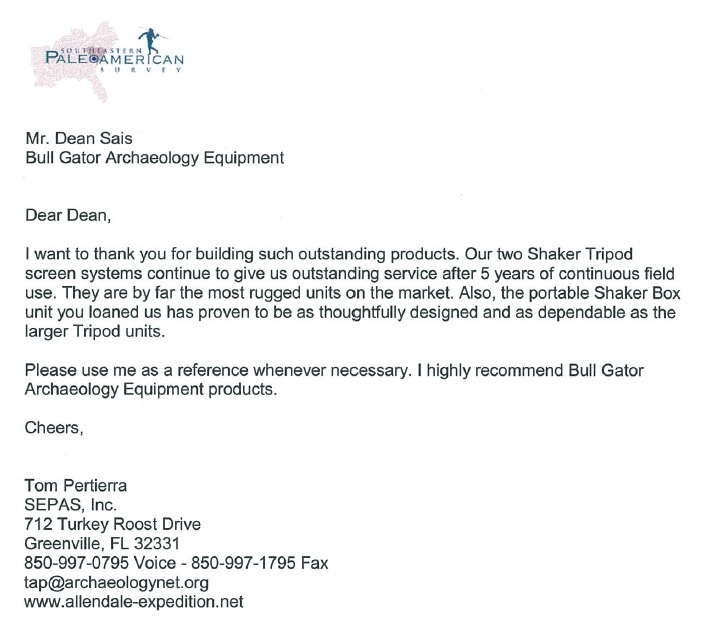 Testimonials Bull Gator Archaeology -- World's Best & Toughest Archaeology Equipment! 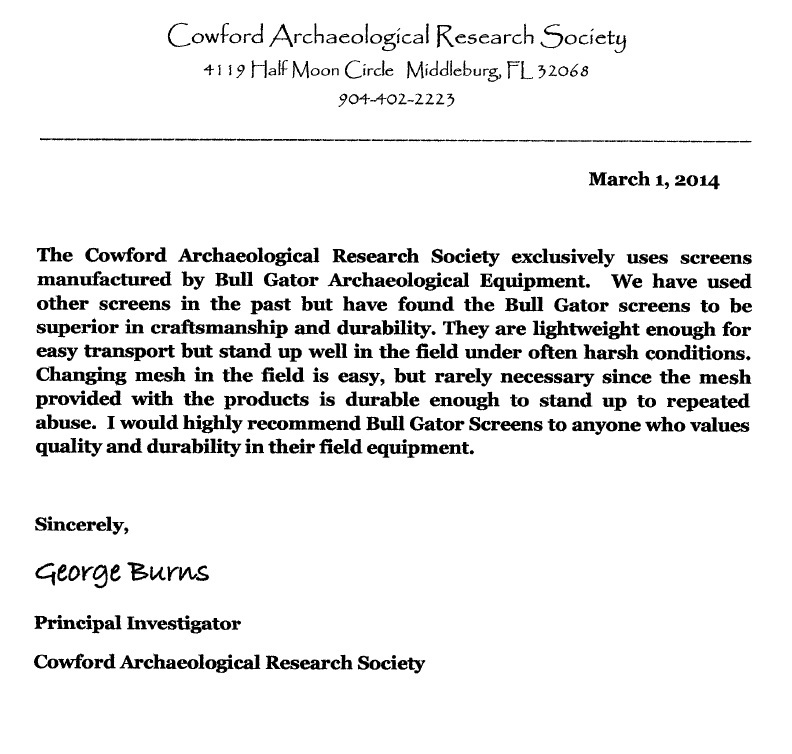 On behalf of the University of Tennessee National Forensic Academy, I want to thank you for your excellent service and Bull Gator products that you provided for our forensic anthropology module. 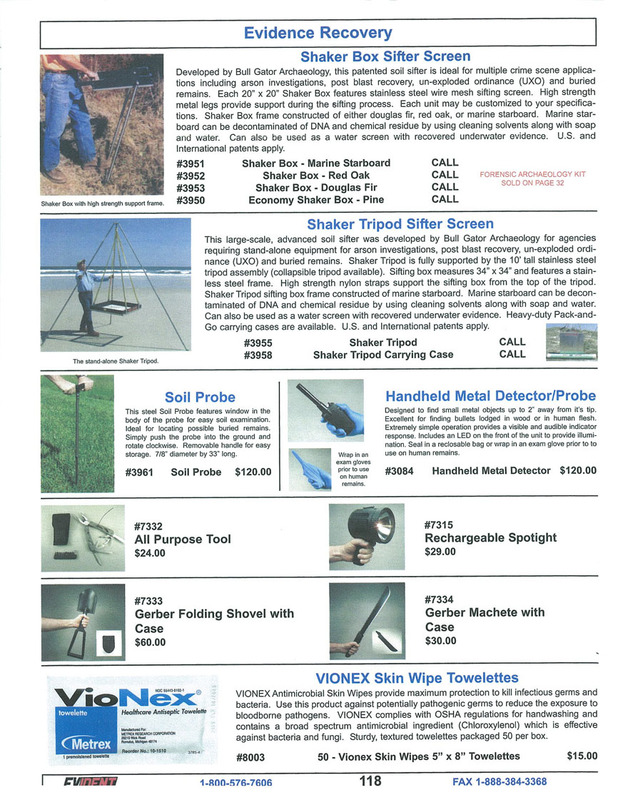 The equipment is top notch and I’m sure that it will last through many future classes. Students travel to our facility from all over the US and other countries and our facilitators rely on the equipment to perform as it should. I know that I can count on you to be there if I need anything and I can count on your equipment as well. 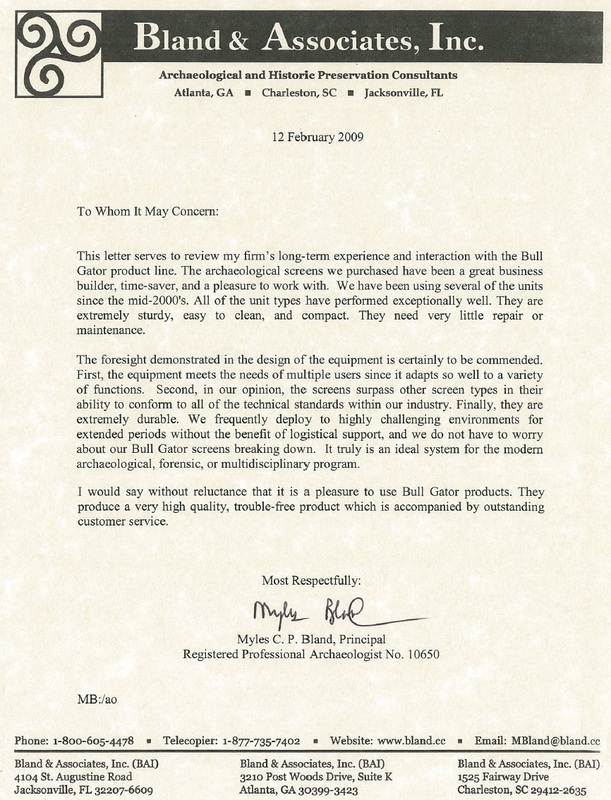 Thanks for keeping in touch and we will be sure to do the same.